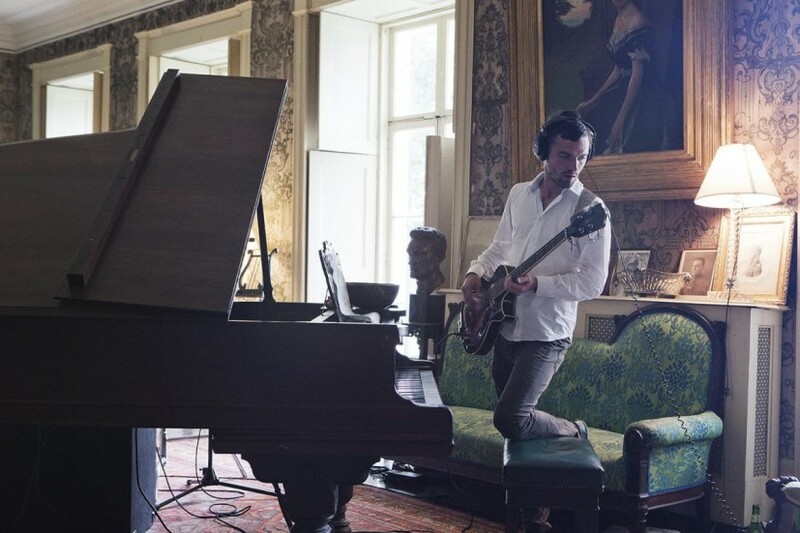 Ragnar Kjartansson, The Visitors, still, 2012, nine channel HD video projection, dimensions variable, duration 64 minutes. Photos: Elísabet Davids, Sound: Chris McDonald, Video: Tómas Örn Tómasson. 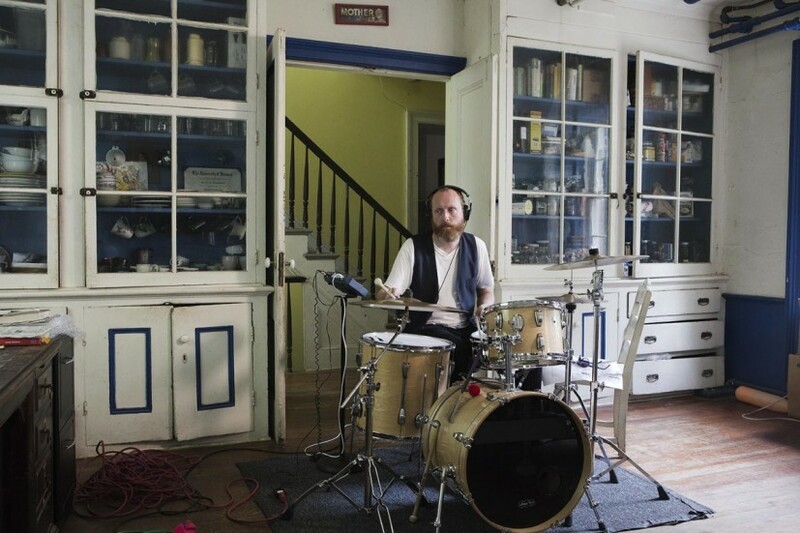 © Ragnar Kjartansson; Courtesy of the artist, Luhring Augustine, New York, and i8 Gallery, Reykjavik. 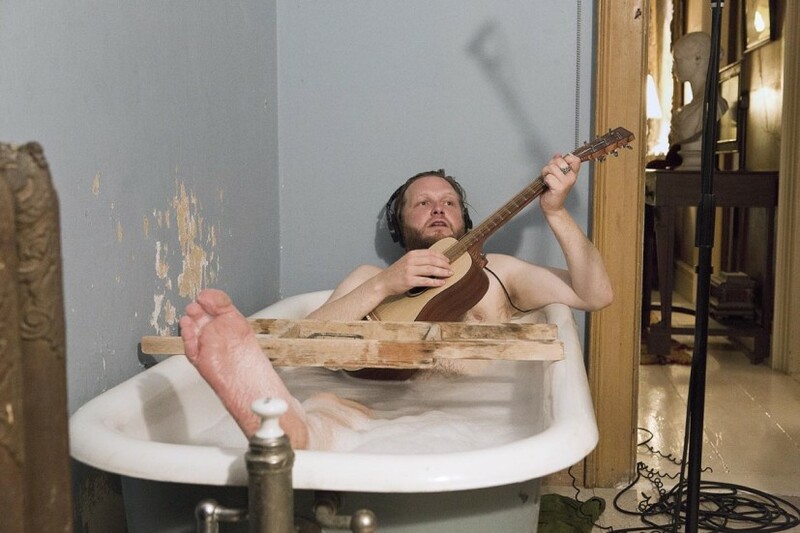 Take the time to visit the exhibition of Ragnar Kjartansson at the Brewer Street Car Park in Soho, as music and architecture create a rare emotional charge; an aspect typical of this artist trained and based in Reykjavik. Kjartansson is one of four artists nominated for the Contemporary Art Society’s Annual Award and the work exhibited in London gives you a taste of what he is capable of. Entering the disused car park – now an exhibition space managed by The Vinyl Factory – you step into a dark room where seven large screens are arranged along the walls and two others stand in the centre. At first these are turned off, but gradually they light up to display furnished 19th century interiors – a chaise longue, a grand piano, a wooden desk in a library, a kitchen, an enamel bathtub, an unmade bed in a faded pink room. 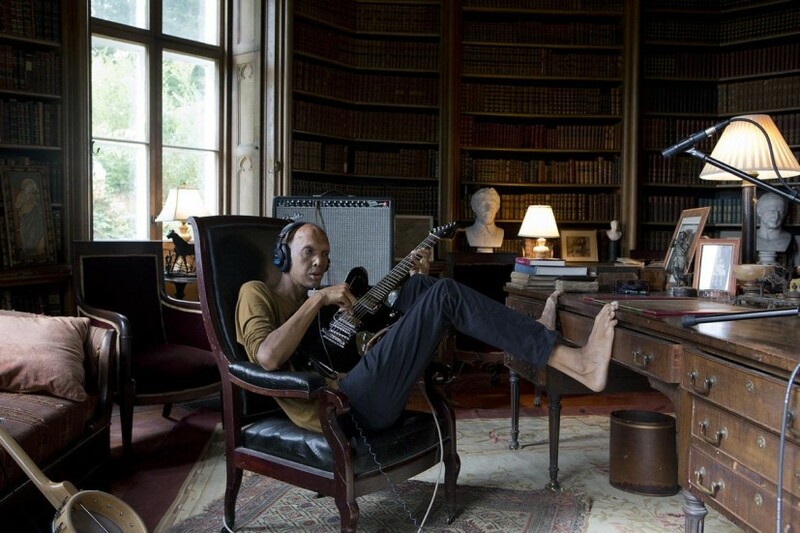 Slowly, eight musicians come to populate these spaces: tuning a guitar or sitting at a piano, they put on headphones and begin to play their separate instruments on their separate screens: the concert starts. This is the beginning of The Visitors, a video installation that envelops the viewer with the softness of melody, attracts with aesthetic framings, and powerfully reinvents what a concert can be. 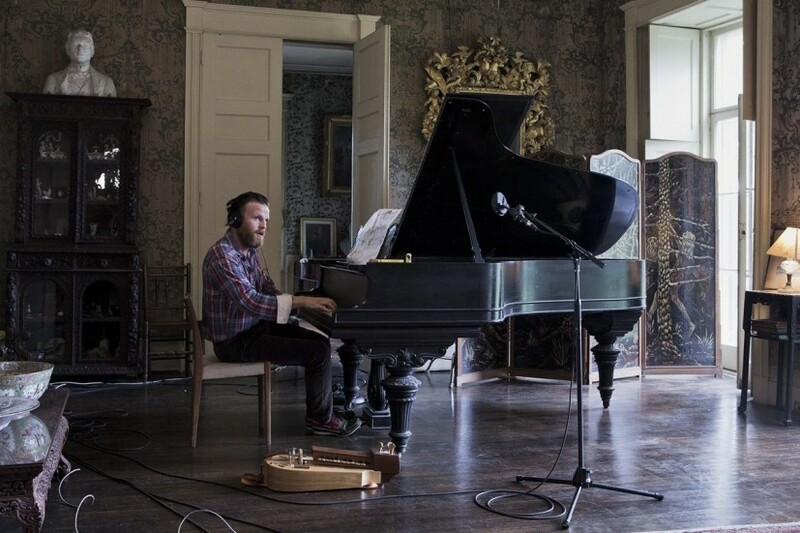 The location for this unusual musical event is Rokeby House – a 200 year old villa on the Hudson River in upstate New York, where Kjartansson spent time in 2007. Kjartansson invited his friends at Rokeby to play a musical arrangement he composed with Davíð Þór Jónsson, using the lyrics from a poem by the poet Ásdís Sif Gunnarsdóttir (Ragnar’s ex-wife). The musicians repeat this song for 64 minutes, which becomes hypnotic and uncanny. 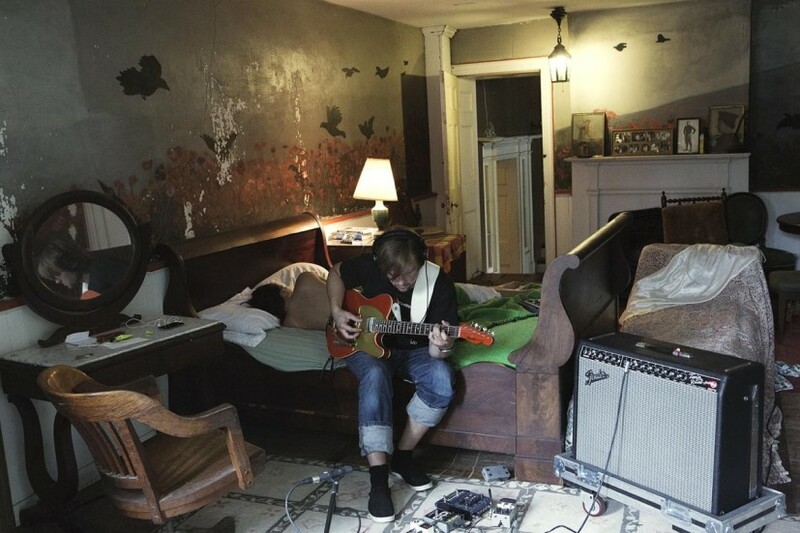 Durational performance is an aspect that Kjartansson investigates throughout his practice and in this installation (which was first shown at Luhring Augustine Gallery in New York in 2013) the song resonates with the house in which it is performed, at odds with the utilitarian, civic space inhabited by The Vinyl Factory. The interiors are the backdrop for the musicians and the whole becomes a nostalgic portrait. The villa also stands as an element of communal living, sharing artistic practice and suggests the role of music as an intimate shared activity amongst friends and family. While traditionally a concert involves the presence of all the musicians on stage, a union of voices, musicians and instruments, Kjartansson subverts this basic ‘rule’ and separates all the elements to eliminate this kind of interaction. Dislocating each musician into a room of the house (and onto each screen), the visitors have a sense of the overall performance but also attend to what each member of the band is doing; the drummer in the kitchen, the electric guitarist seated on an unmade bed, an accordionist in front of a French window, and Kjartansson in the bathtub playing acoustic guitar. The installation is 64 minutes long, but while you will be overwhelmed by the softness of the mesmeric environment – take the time to see the whole film if you can – the ending sequencing unites the group and depicts them walking down the rolling hills of the Hudson River in a hazy twighlight. A burst of energy after a concert, a sudden hymn to friendship, communal life and artistic collaboration. The title of the work, The Visitors, is taken from the 1981 album by ABBA – their final record which also ended their collaboration. As well as a hymn to friendship, Kjartansson’s film also recognises the fragility of relationships. The Visitors is an apt title to describe the exhibition and our own part in it. Visitors to what and to whom? A recording, a concert, a collective, an event? 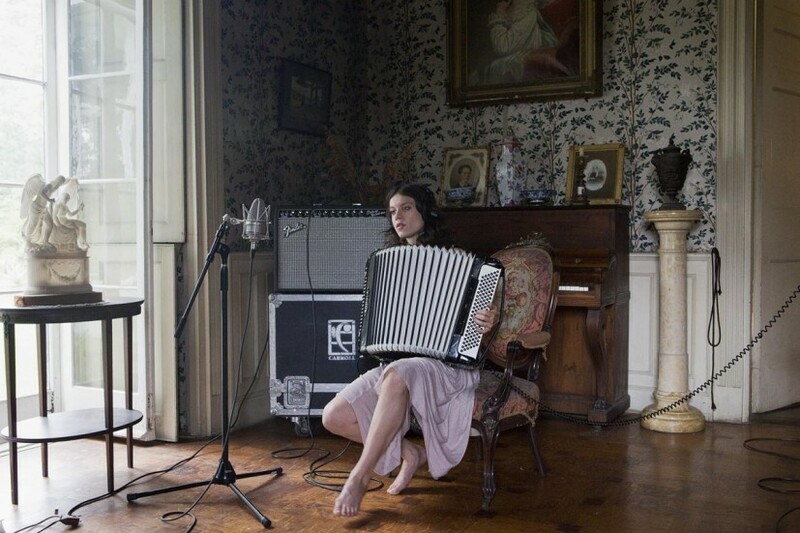 Kjartansson’s work leaves all those possibilities open, as impresario and host.